Tucked between the vines and downtown Napa, SENZA Hotel provides an unrivaled sense of escape at the getaway to Napa Valley. Teeming with Michelin restaurants, chic boutiques, and rustic natural beauty, Napa Valley is undoubtedly most revered as a well-sought grape-growing region filled with world-class vineyards and wine production. Experience Napa's full renaissance by exploring its best features - the great outdoors, the epicurean adventures, and of course, the wine. Embark on a winery tour and sample the bounty from local vineyards including HALL Winery and WALT Winery, or hop aboard the Napa Valley Wine Train for a 3-hour journey through the beautiful countryside. Hit the emerald green fairways and play a round (or two) of golf at Eagle Vine Golf Club. 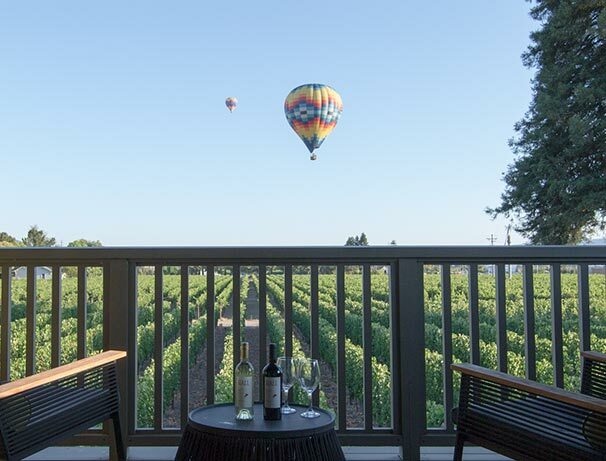 Soar up 1,500 feet and get a birds-eye-view of Wine Country in a hot air balloon ride or stay on land and traverse through town on a Napa Valley Bike Tour. With plenty of things to do in Napa Valley, disconnect and take advantage of your time in this charming northern Californian town. There is no better way to learn about Napa Valley’s great bounty than on a guided wine tasting tour. 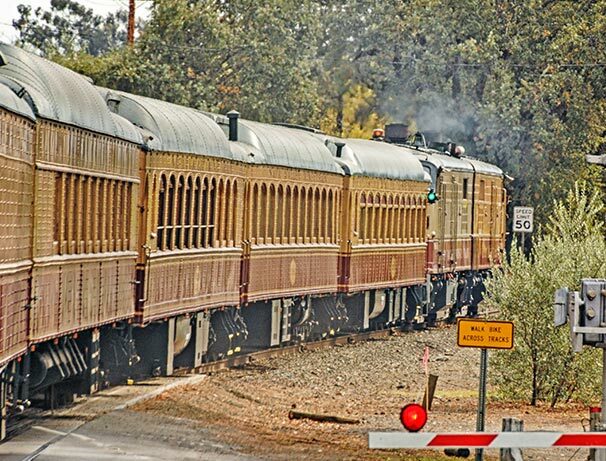 The Napa Valley Wine Train offers a unique way to tour the vineyards and sample the wines. Explore Napa in a private van service that stops at all the best wineries on Dynamic Napa Wine Tours. Hop on and off the Napa Trolley and take in the sights or enjoy a private limousine service for a luxury tour through the vines. How many wineries are in Napa Valley? You'll find local varietals from over 400 wineries in Napa Valley. With tasting rooms, wine education, and food pairings as the main attractions, visitors can find guided tours or set out solo to see the most popular vineyards. What are best bike tours in Napa? Napa Valley Bike Tours offers multiple options with varying routes either on the Classic Tour or the Vineyards Tour. Trek Travel, Velo Vino Tours, and Gateway Adventures all provide bike tours through town with stops in Calistoga and St. Helena. All of Napa’s bounty is rich and flavorful. A few wineries worth mentioning include V. Sattui in St Helena. As one of the most visited wineries in all of Napa, stop in any day of the week and sample over 80 varietals of wines, champagne, and ports. Opus One Winery delivers a luxurious wine experience by creators, Robert Mondavi and Baron Philippe Rothschild. HALL Wines is a set of spectacular wineries in the heart of Napa Valley with tasting rooms in both St. Helena and Rutherford. 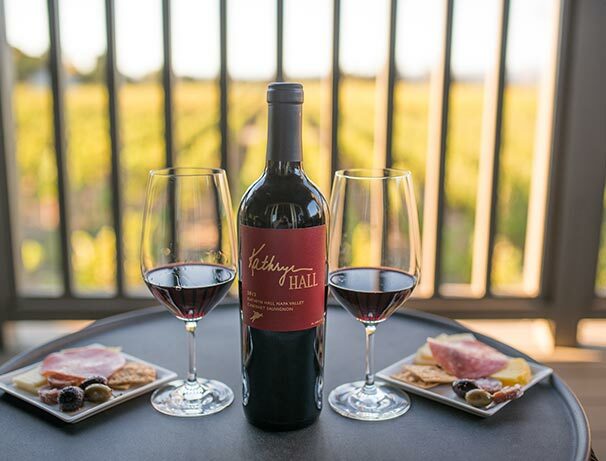 Known for their handcrafted cabernets, Hall offers the quintessential Napa experience. What are the top Napa golf courses close to the hotel? Just minutes from SENZA Hotel, visit Eagle Vines Golf Club, Chardonnay Golf Club, Napa Golf Course at Kennedy Park, and Vintner's Golf Club while visiting our Wine Country hotel. Indulge in farm-fresh flavors paired with exquisite wines and experience the forever burgeoning Napa Valley food and wine scene. 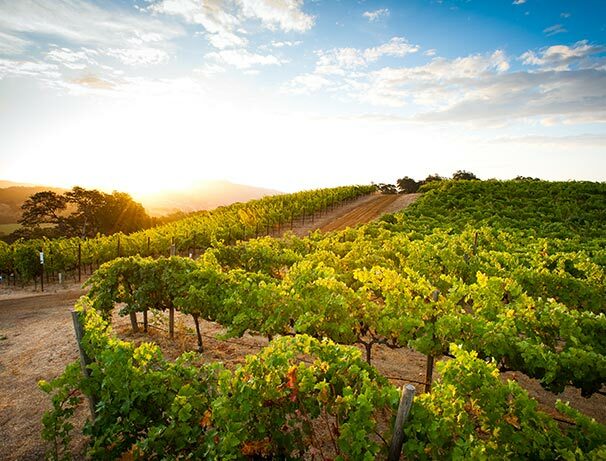 As one of the world's most famous wine-producing regions, Napa showcases exquisite rolling hills, fertile soil, and a mild climate, perfect for creating lush vineyards and gardens. With a mix of farm-to-fork, gastropubs, and tapas restaurants, pair your favorite Chardonnay or Cabernet to each delicious meal you endeavor in this "foodie" destination. Designed by World Golf Hall of Famer Johnny Miller, Eagle Vines is one of Napa's most challenging courses, as well as the most scenic. 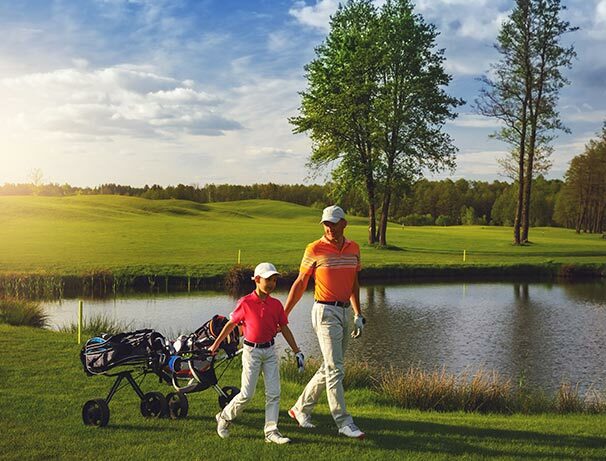 Play a round of golf surrounded by vineyards, waterfalls, creeks, ponds, and cherry trees, and finish the day off at The Grill at Eagle Vines for lunch and dinner. Sample award-winning wines and learn all about the HALL philosophy, their winemaking process, and the contemporary art pieces that decorate the walls. Known for their critically acclaimed artisan Cabernet Sauvignon, this historic winery and vineyard offers breathtaking views of the Mayacamas Mountains. With intimate tasting rooms designed to feel like a Wine Country home, take a tasteful journey through the most expressive Pinot Noir and Chardonnay vineyards on the Pacific Coast and explore the beauty and diversity in each sip. 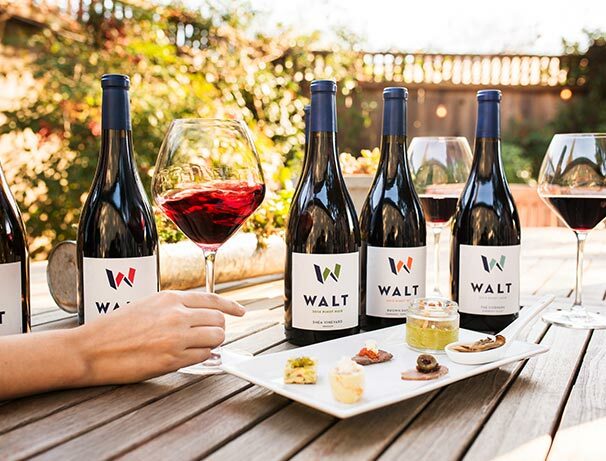 With two tasting menus to try, WALT Winery offers the perfect day trip to Sonoma. For a luxuriously vintage experience in Napa Valley, embark on a relaxing three-hour tour through Wine Country's lush countryside to the quaint village of St. Helena and back. Dine aboard a 1915 Pullman dining car for lunch or dinner or relish in the excitement of a thrilling Murder Mystery Tour. Experience wine country from up in the clouds and embark on an adventure in the sky with a Napa Valley hot air balloon ride. 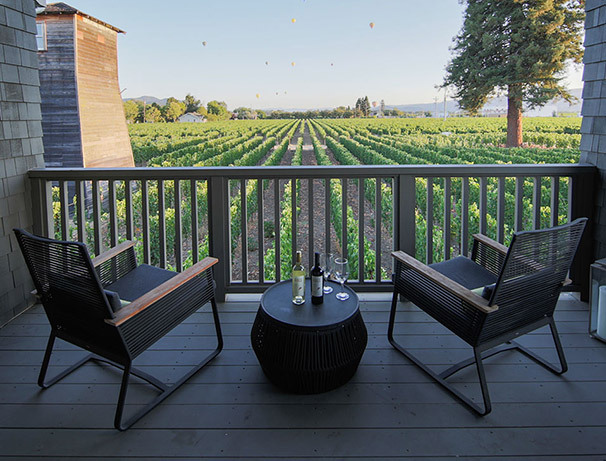 Peer down and around for unparalleled panoramic views of Napa's countryside and watch the sunrise over the valley for an unforgettable experience while in Napa Valley. Ride to the vines and embark on a unique experience through Wine Country. 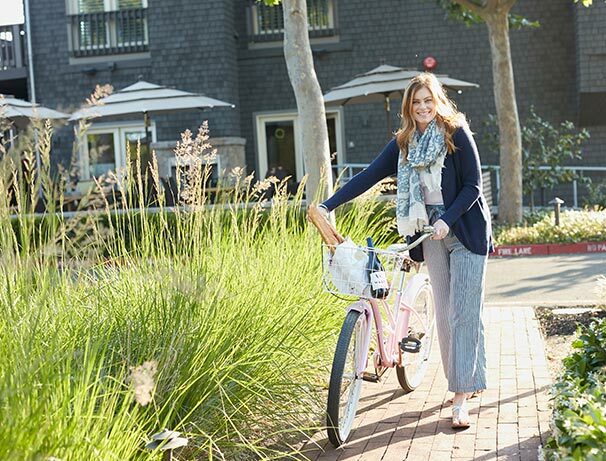 Take a guided or self-guided Napa Bike Tour and explore lush countrysides while visiting local wineries. Adventure seekers can create their own path discovering Napa's backroads and car-free trails.